Oops, I've done that thing again where I accidentally forget to write a blog post for almost a year and change my blog name again.. Lets not talk about where I've been (doing GCSEs for all you nosey parkers), lets talk about Summer. Summer, I feel, can be the biggest let down of the year. I mean you work for months and months and give yourself motivation by "summer is in a few weeks!" or "it's ok, it's nearly summer!" and then when it comes you spend more time locked in your room than you did any other time of the year. Last night, I even learnt Listen by Beyonce in Spanish and if that doesn't sum up Summer I don't know what does. SHAVING : the bane of my life, takes far too long, far too much energy and I'd much rather be catching up on Chris and Jenny's family fued on Jeremy Kyle. PLANS : the pressure to make plans so you don't look like a massive loner who stays inside and marathons Netflix (which is exactly what I do). "SUMMER BODY" : who even made that up, I now find myself eating quinoa and spinach rather than my trusted four cheese pizza and that is not the life I'm about. SUN : the best and worst thing about Summer. Sure, it's great to sit around and feel the warmth but when you are trying to be social and talk to another human being but you are squinting so hard you may as well not have eyes and are redder than MAC Ruby Woo, the sun is not so great. PEOPLE : the inevitable, children EVERYWHERE. Try Primark on a Saturday now, I triple dare you. 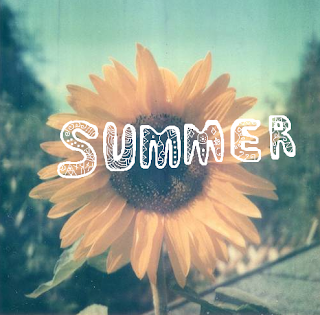 Let me know what you lot think about Summer, and if I am being a massive Moany Mark about it all. Argh the 'summer body' thing drives me mad! And Primark on a Saturday, thinking about it makes me panic! I passed out in there as a child and I can't face it when it's busy now! Welcome back, I've just returned from a short (3 years, cough) break, myself!